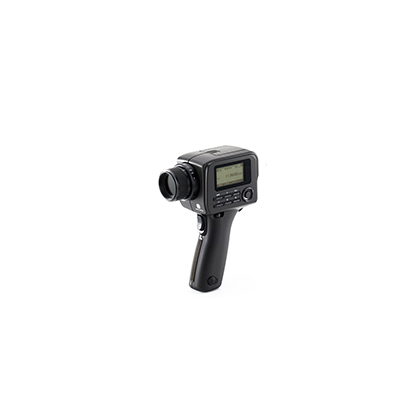 The LS-160 (successor to LS-110) is a highly accurate and easy-to-use luminance meter with a minimum measuring area of 4.5mm and a greatly improved luminance range of up to 9,999,000 cd/m². It also possess sensor sensitivity that closely matches the V(λ) spectral luminous efficiency function of the human eye. 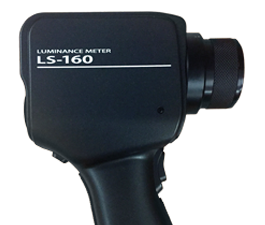 The LS-160 (successor to the LS-110) is highly accurate luminance meter that uses a newly designed sensor with a spectral response that more closely matches the V(λ) spectral luminous efficiency function of the human eye to provide measurement results that correlate well with visual evaluation. This spot luminance meter is small and compact, light and easy to hold, and runs off AA batteries, making it fully portable.